South Korean official says North Korean leader is willing to allow inspectors into the country's main nuclear complex in Yongbyon. 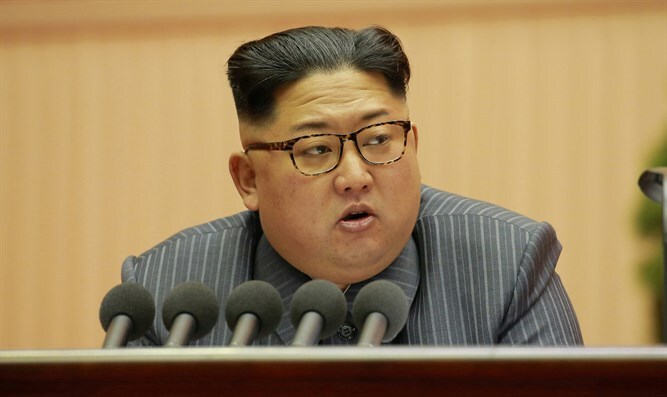 North Korean leader Kim Jong Un is willing to allow inspectors into the country's main nuclear complex in Yongbyon, Reuters reported on Tuesday, citing South Korea's official Yonhap news agency. "I understand that Chairman Kim told (South Korean) President Moon (Jae-in) during their summit in September that if the US took corresponding steps he would not only be willing to shut down the Yongbyon nuclear facilities but also allow verification," a senior diplomatic source told Yonhap. The source said Moon passed the message on to US President Donald Trump when the two met during the United Nations General Assembly in New York in September. Kim had earlier expressed openness to shutting down the site if Washington took "corresponding" measures, but no offer to allow inspectors in to verify had been reported. Kim and Trump held a historic summit in Singapore last June, during which they signed an agreement which includes a commitment to achieve total denuclearization of Korea, with promises to pursue “vigorous negotiations” to that end. Earlier this month it was reported that Kim had inspected the site for testing a “newly developed cutting-edge strategic weapon”. Asked about reports on Tuesday on North Korean willingness to allow inspectors in and whether there had been new developments, State Department spokeswoman Heather Nauert said she was "not aware of any of that," but noted Kim had agreed to inspections in a meeting with Secretary of State Mike Pompeo recently. "That's something the secretary and Chairman Kim had agreed to and spoken about when the secretary was in Pyongyang about a month ago or so," Nauert told reporters, according to Reuters. "So that's something they agreed to and we look forward to Chairman Kim fulfilling his commitments."